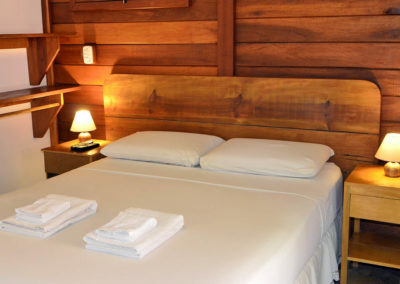 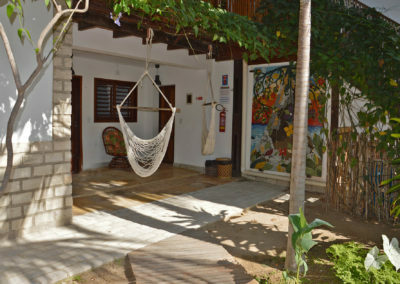 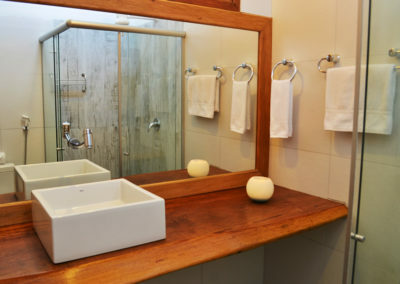 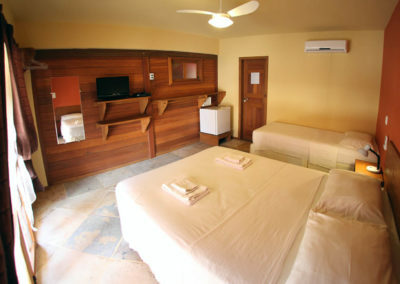 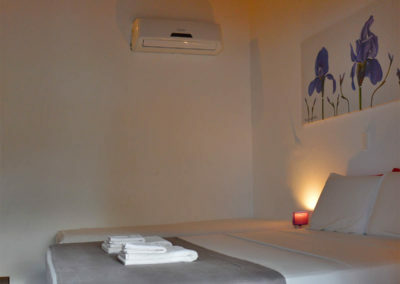 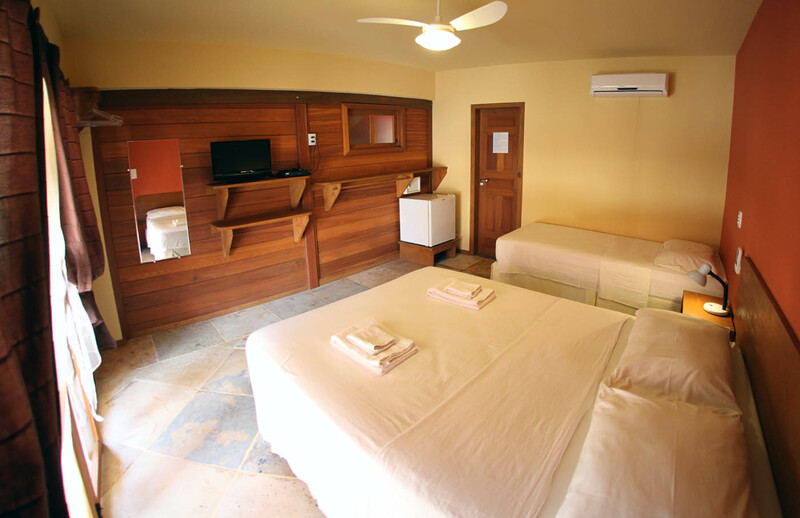 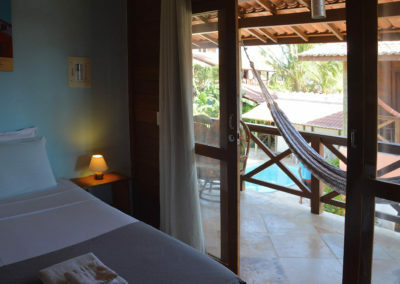 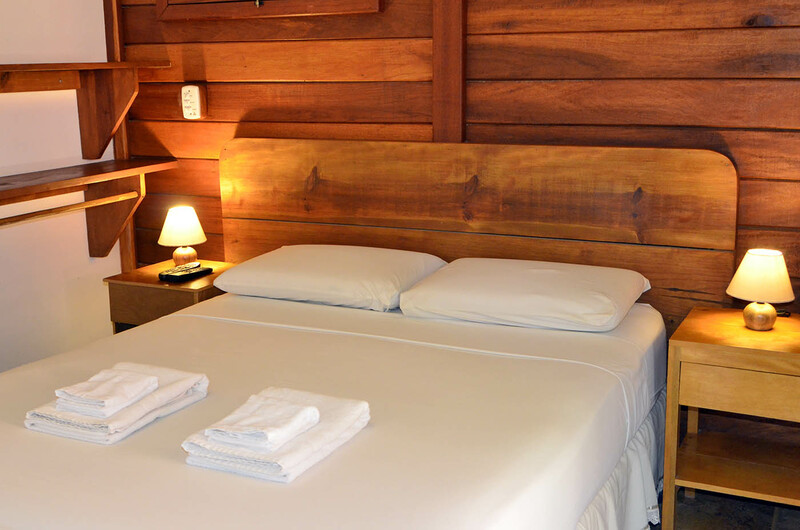 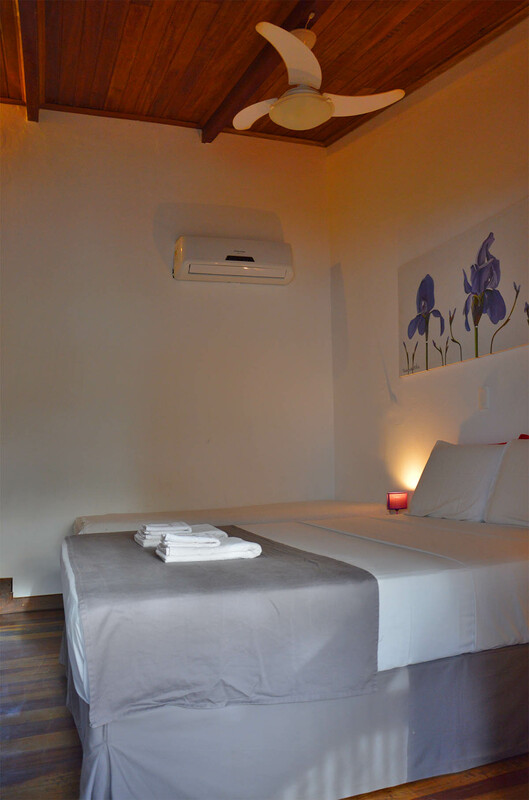 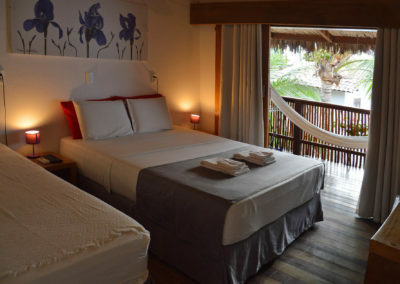 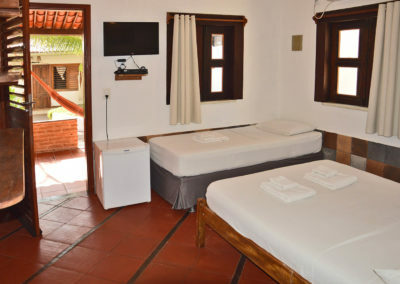 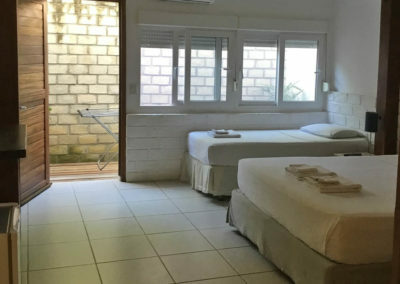 The rooms in Pousada do Mauricio priorize comfort and practicality, translating the simplicity of Jeri atmosphere in their non luxury structure and decoration… they are divided in 3 categories: all of them are equipped with split air conditioner, safe, minibar and private bathroom with hot shower – the difference between the categories refers to location and equipment type, as described below. 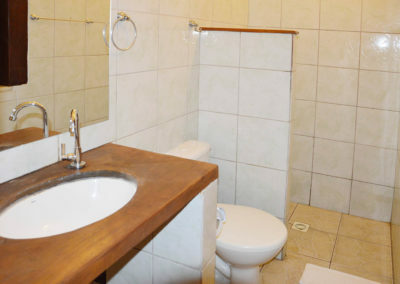 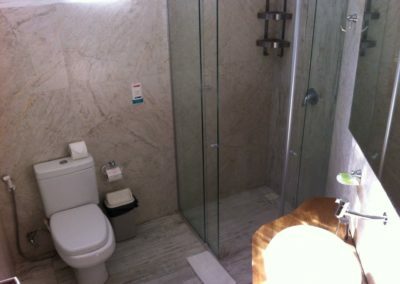 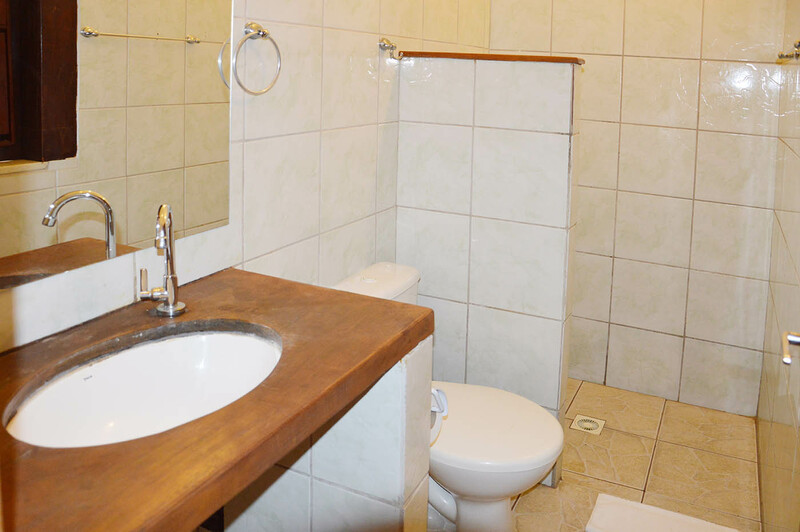 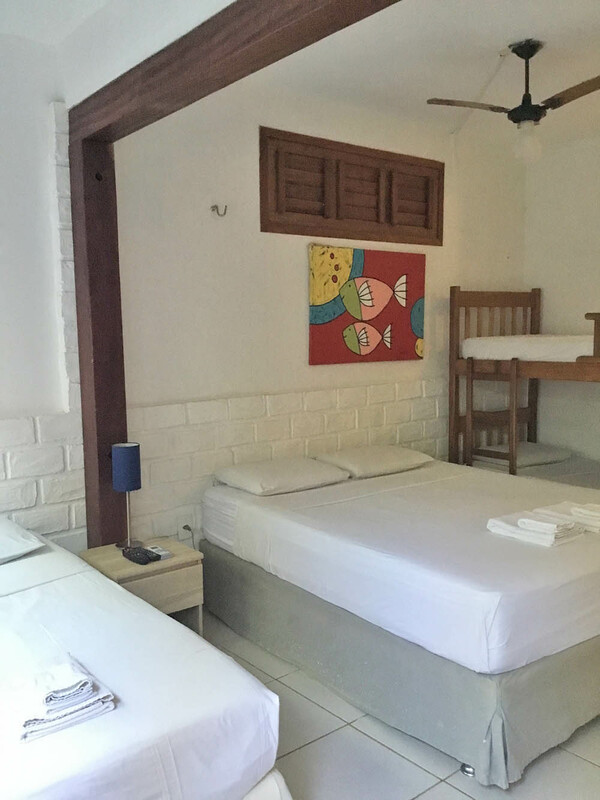 The rooms are slightly different between them; the pictures below help to have a general idea of each room category. 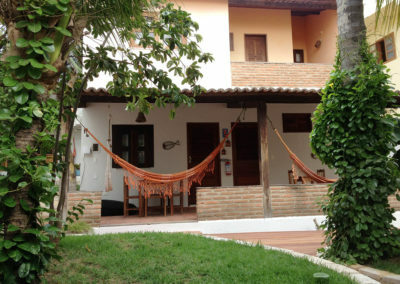 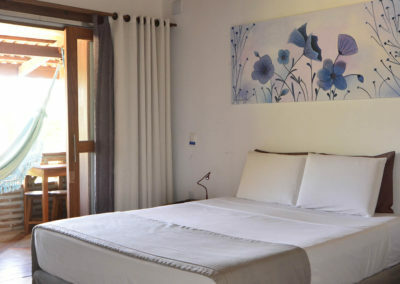 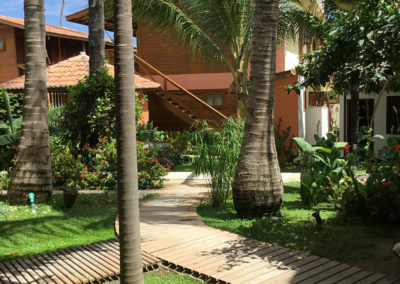 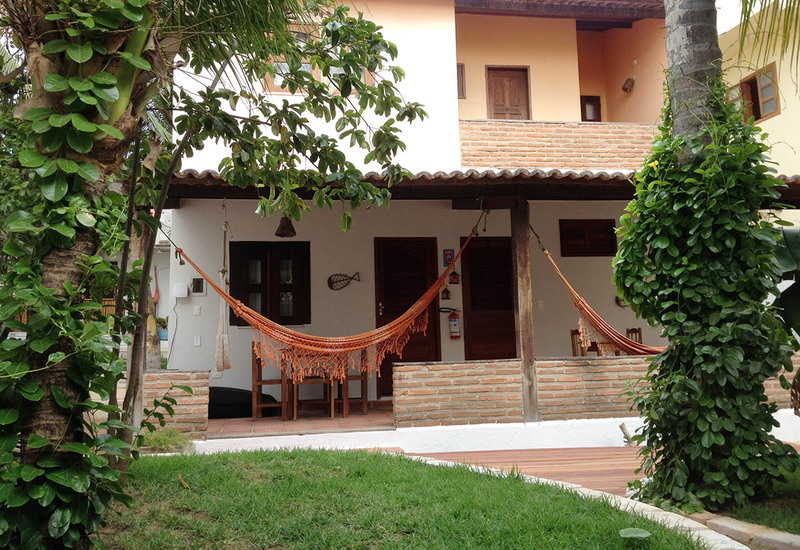 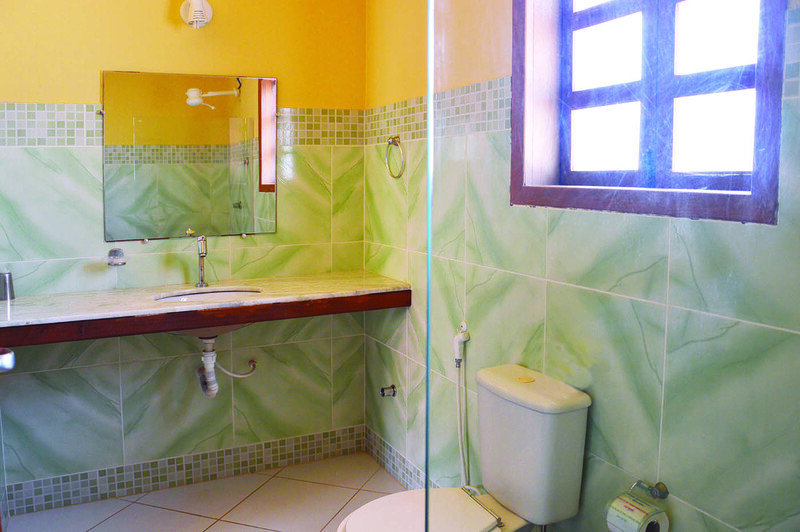 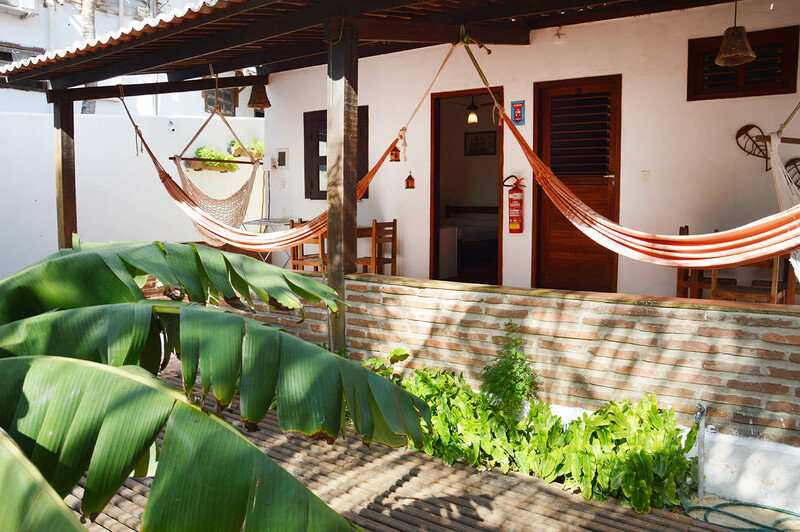 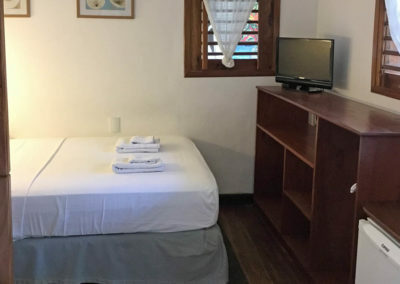 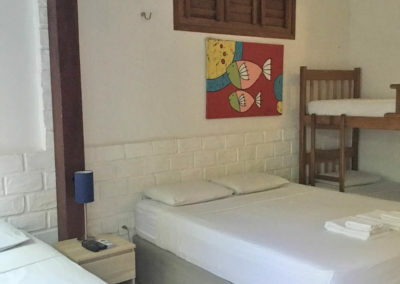 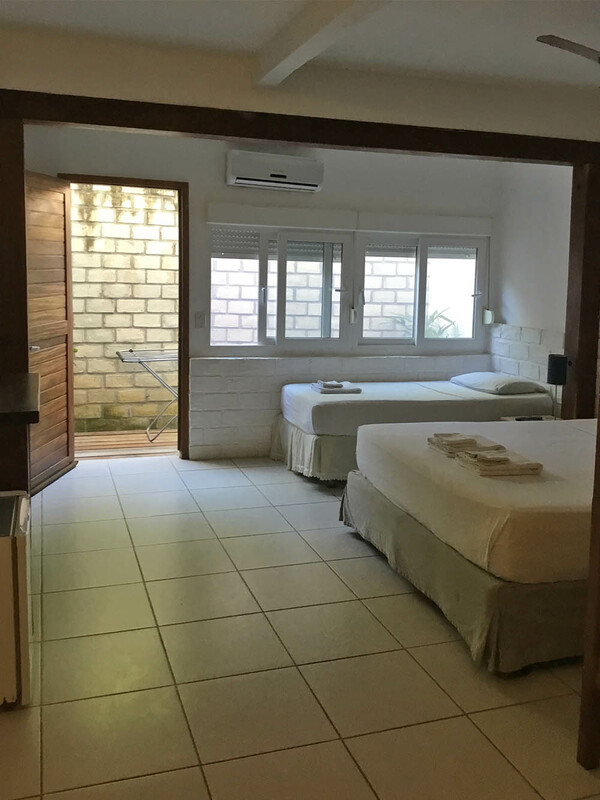 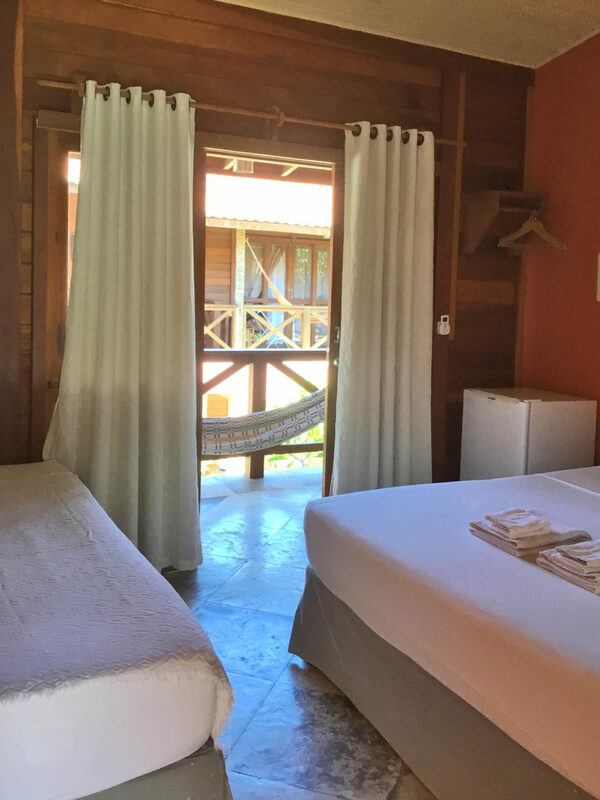 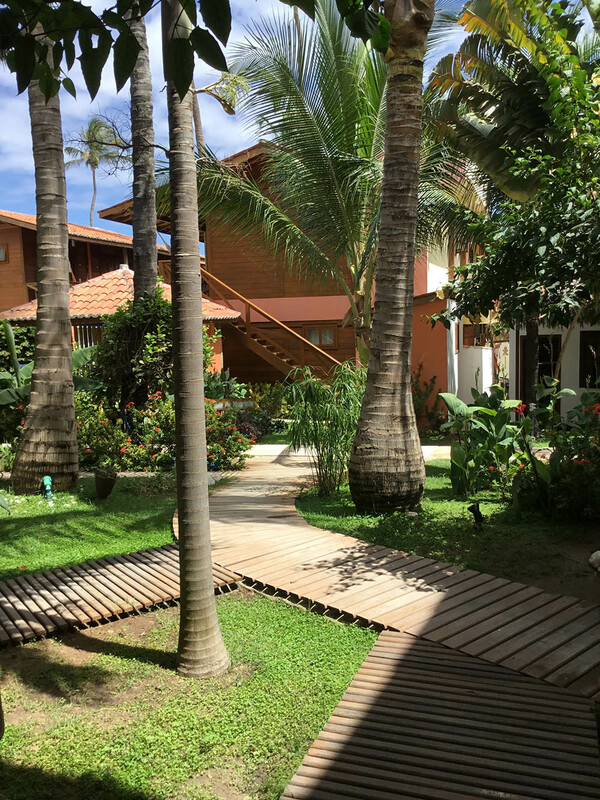 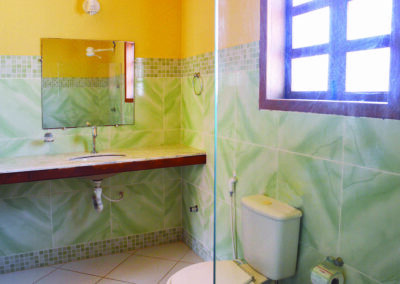 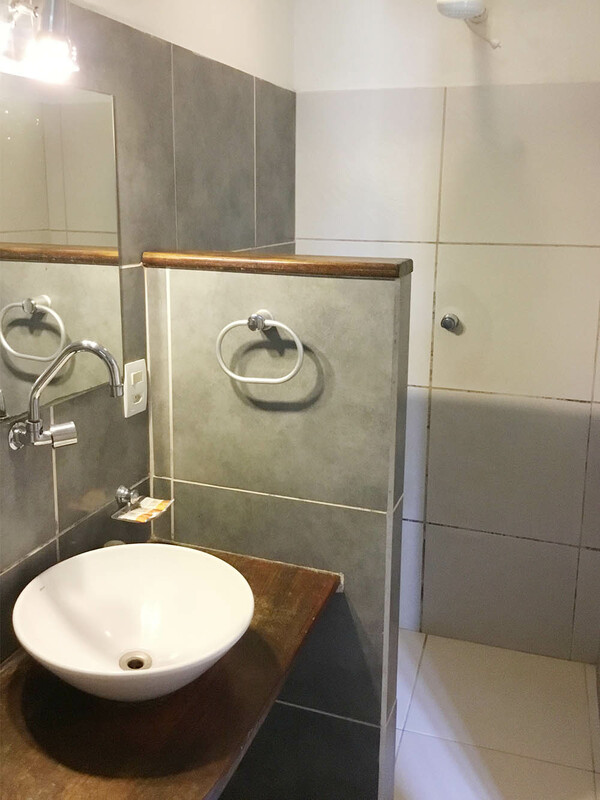 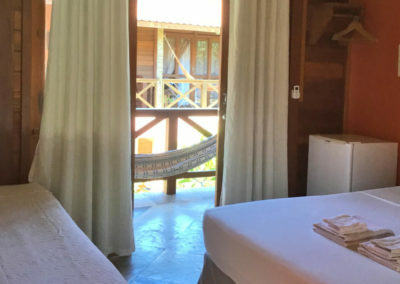 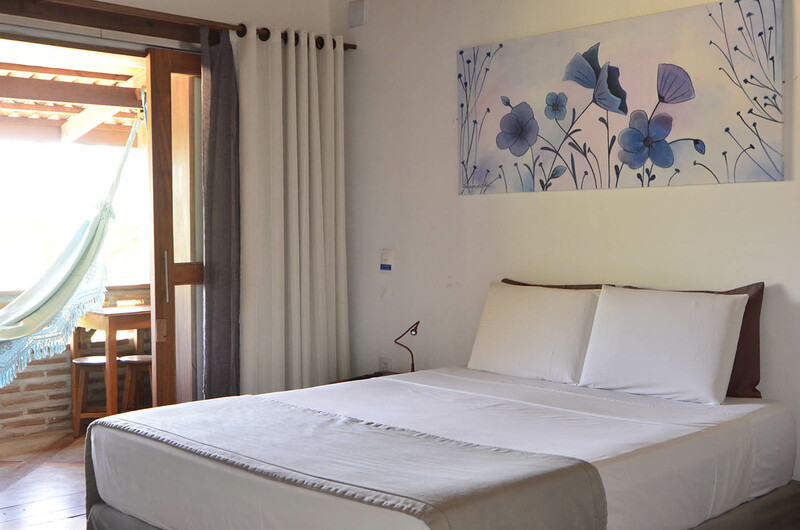 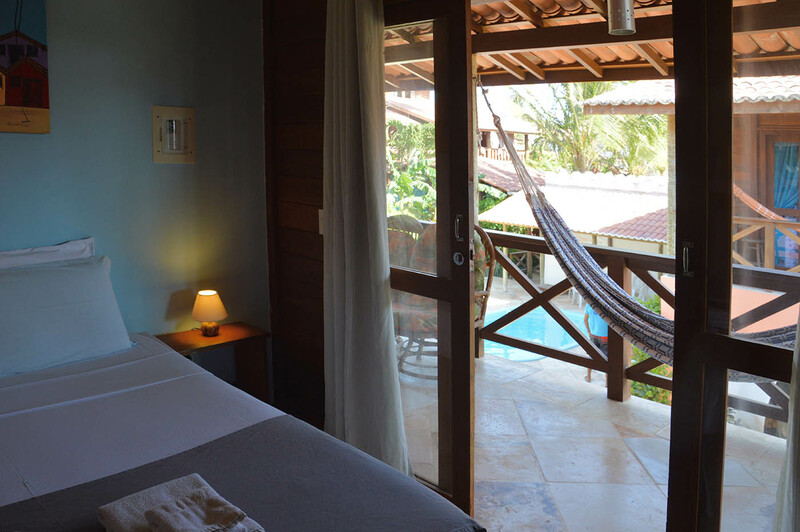 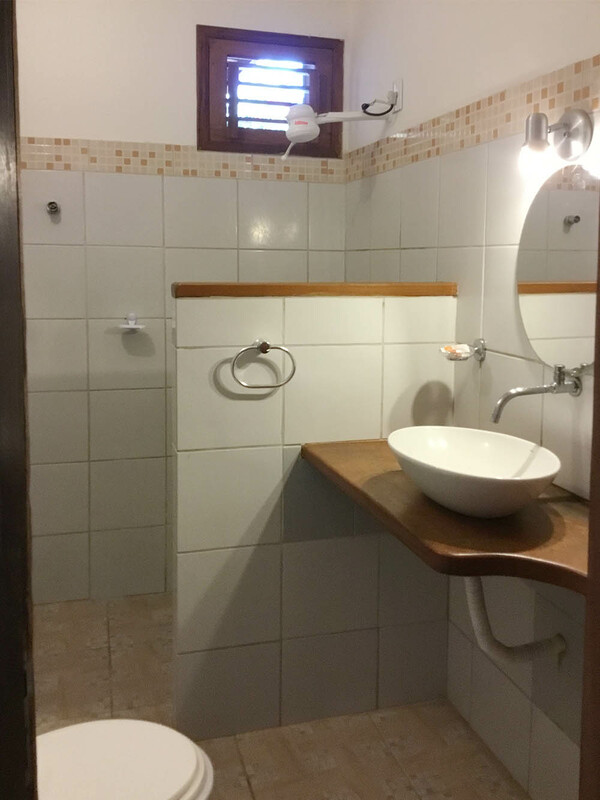 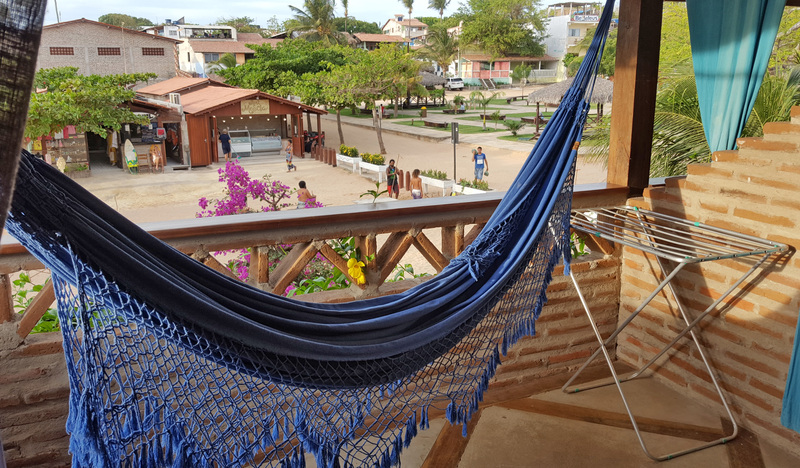 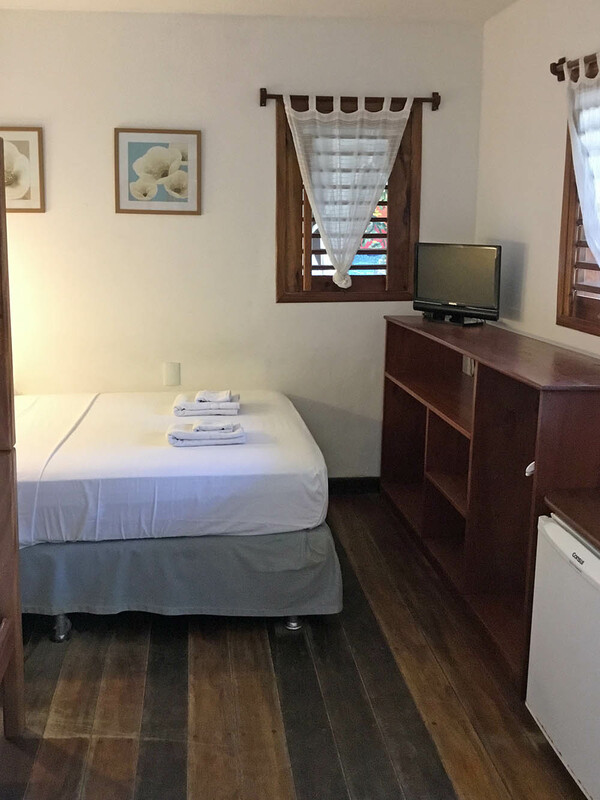 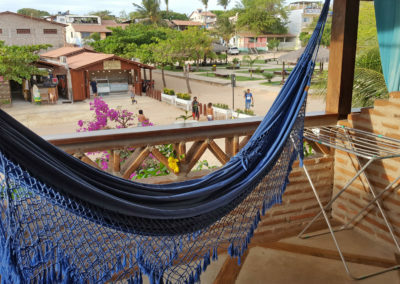 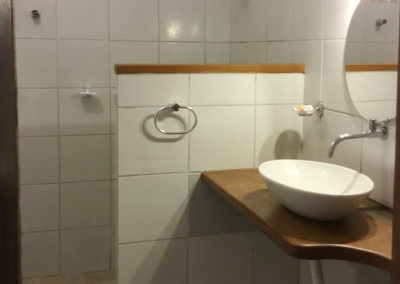 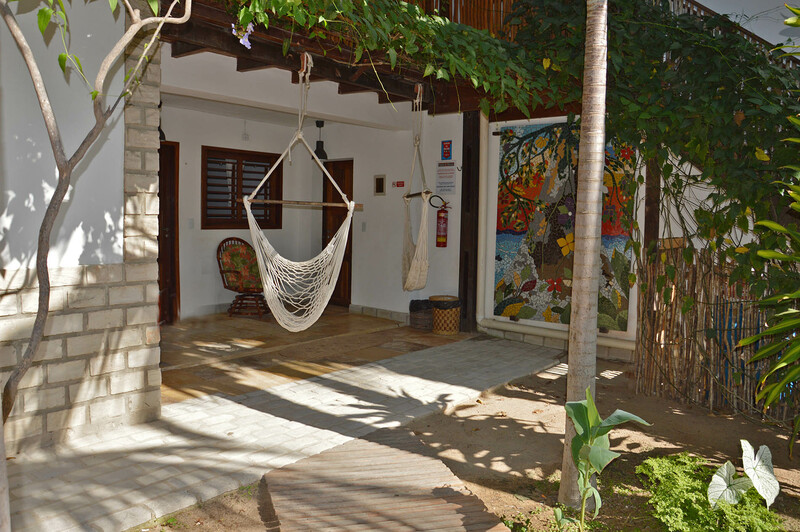 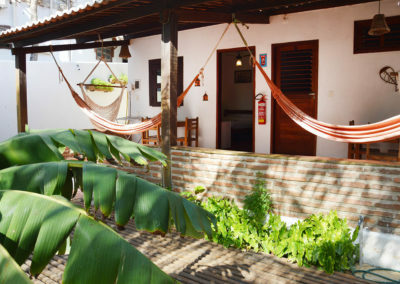 We offer also accomodation in COMPLETE APARTMENTS with kitchen unit, located in a newly built structure about 280 meters away from the Pousada (VILA CELESTE more information in the next page). 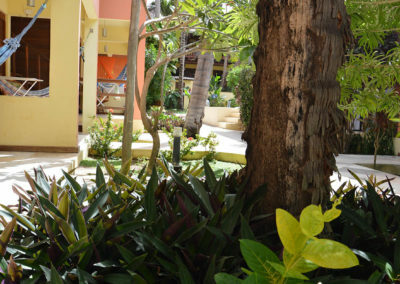 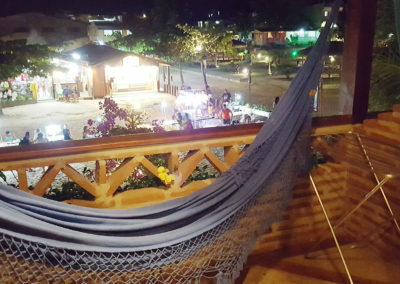 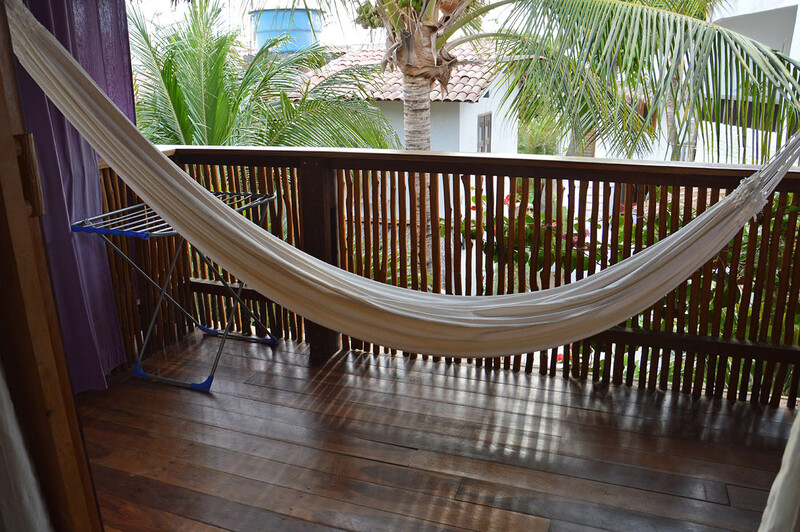 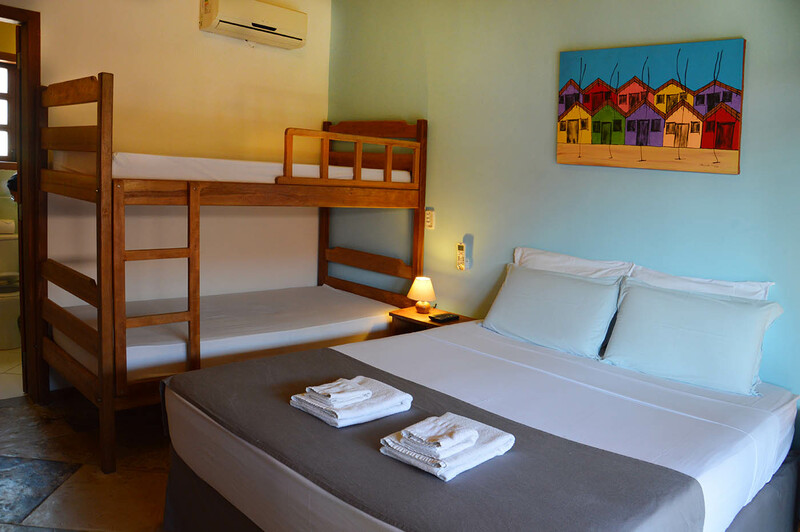 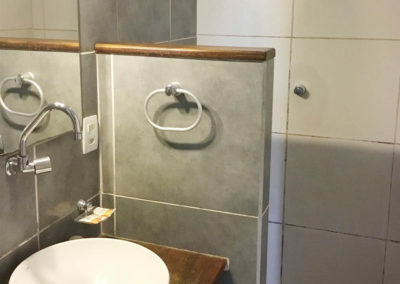 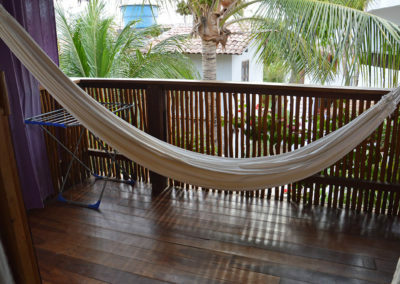 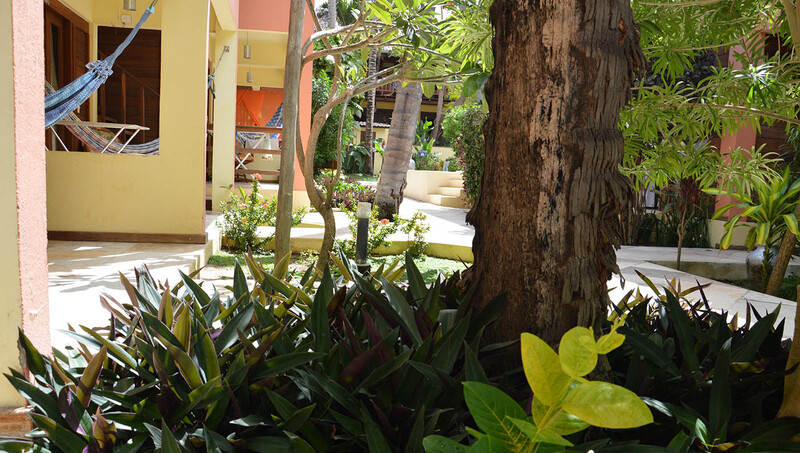 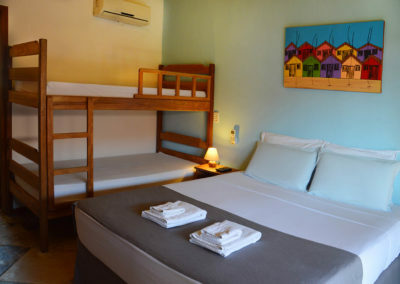 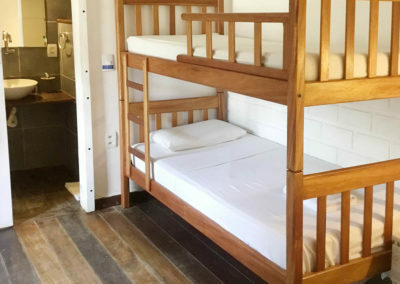 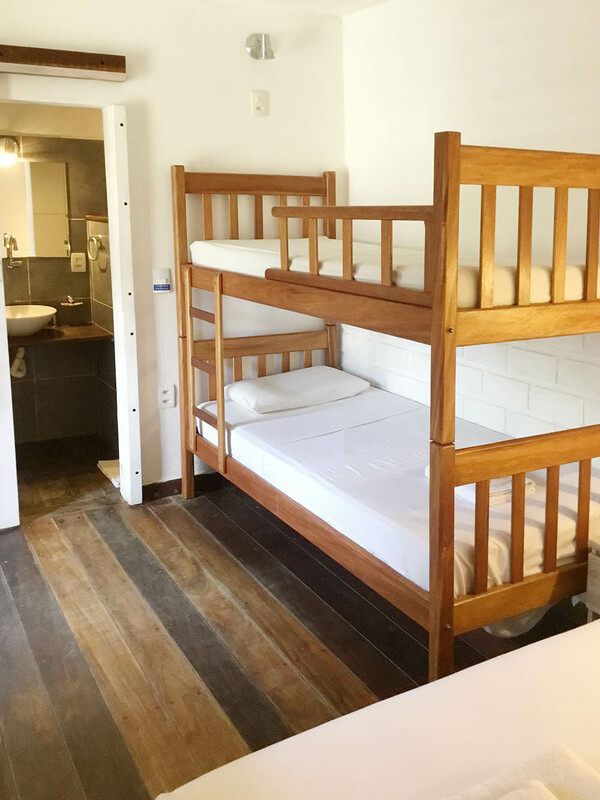 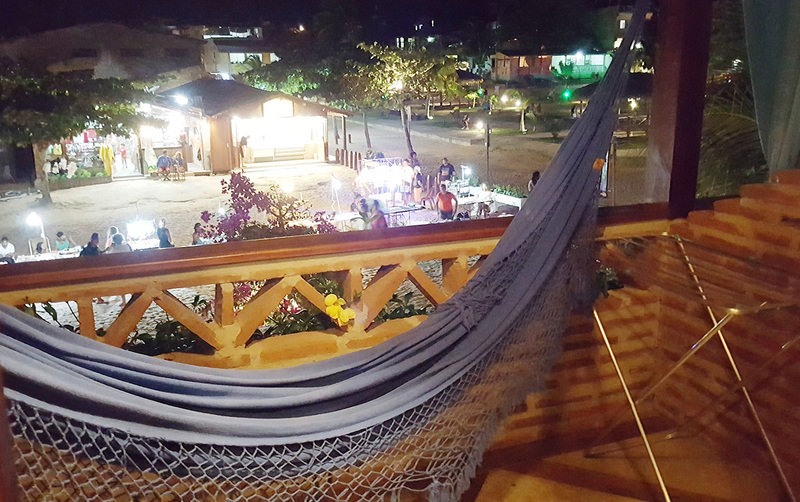 Located in SUPERIOR FLOOR WITH DIFFERENT VIEWS, equipped with queen size bed and single bed (or bunk bed), 32”tv and balcony with hammock, table and clothesline.